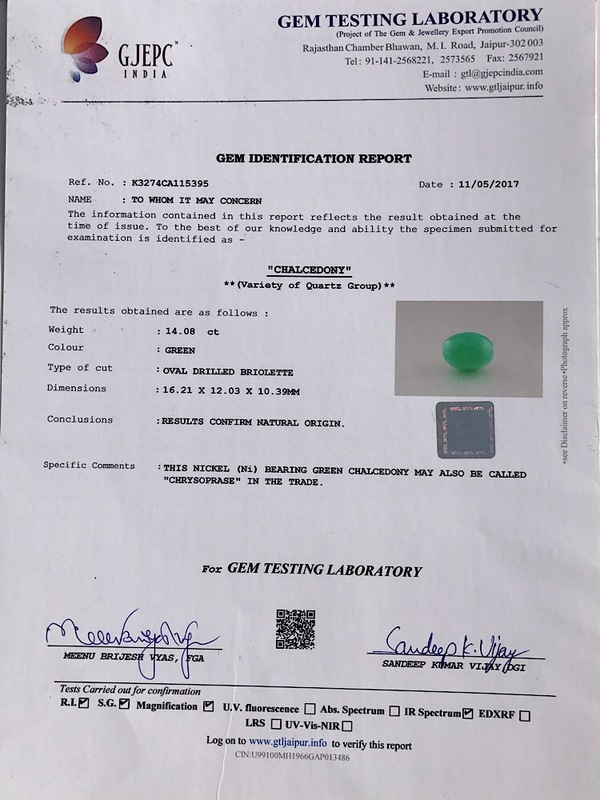 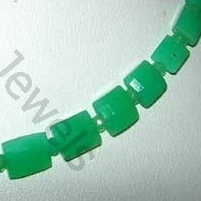 Chrysoprase or better called the delightful stone of the green ray is indeed one of the best stone that have ever found their existence on earth. 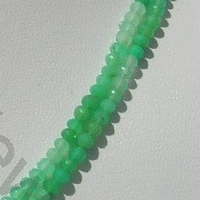 Recognized as stone of Venus, Chrysoprase Gemstone is one of the most rarely found gemstone of chalcedony family which grabs attention of every person due to its passionate and aggressive green color. 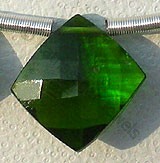 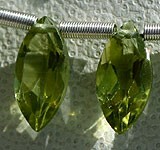 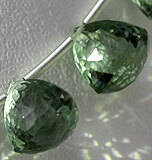 In the earlier times it was often confused with emerald by jewelers, which was mainly due to its green color. 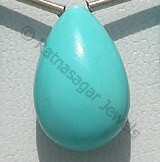 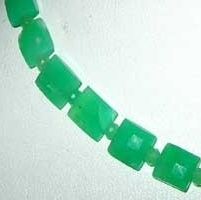 But the green color blessed in Chrysoprase is due to presence of nickel elements in this rarest gemstone. 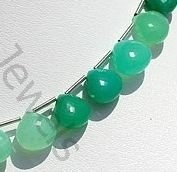 In the ancient times it was used by Greeks, Egyptians and Romans for not only making jewelry items but also for making seals and signets. 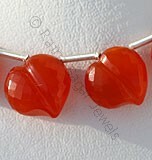 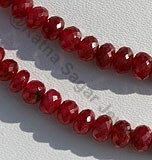 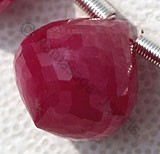 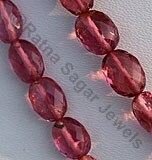 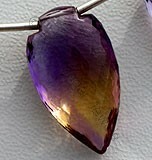 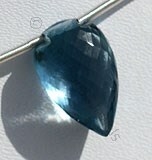 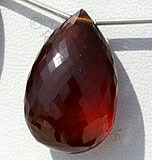 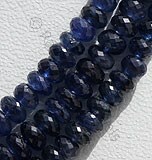 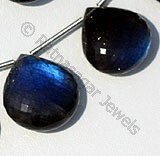 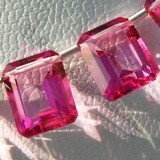 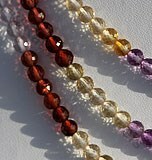 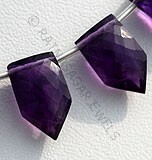 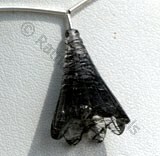 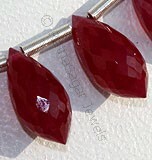 The hardness of this gemstone falls between 6.5 to 7. 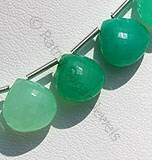 Chrysoprase is regarded as the gemstone of persons born in month of May and is believed to bring happiness and intelligence to the wearer. 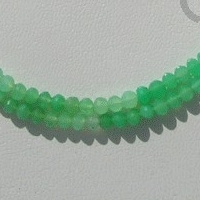 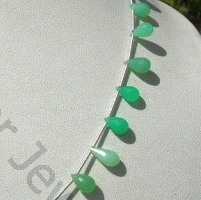 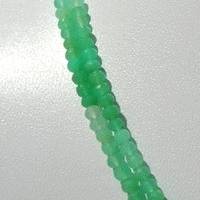 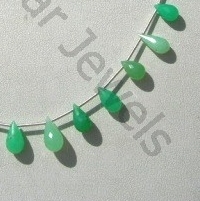 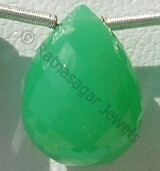 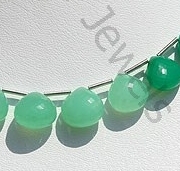 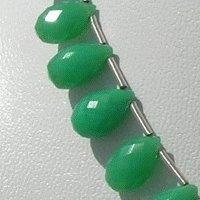 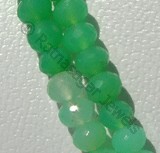 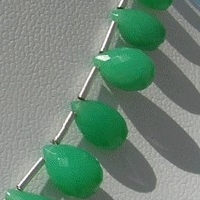 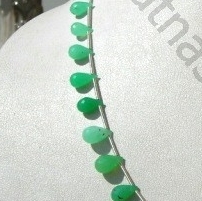 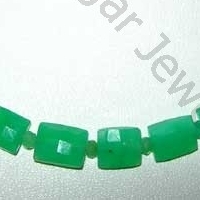 Green Chrysoprase is a delightful stone of the green ray. 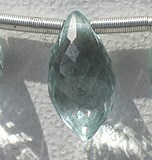 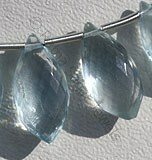 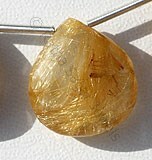 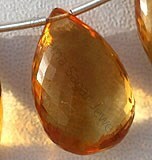 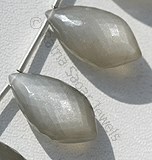 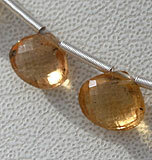 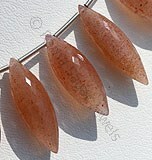 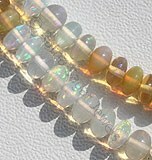 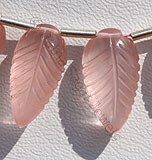 It is a variety of chalcedony, which is a type of quartz, and is one of the more valuable stones of this group. 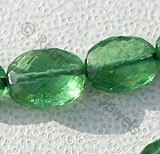 This beautiful gemstone is available at Ratna Sagar Jewels- the wholesalers, manufacturers and retailers of AAA quality gemstone beads. 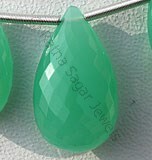 Above all you would be excited to know that Ratna Sagar provides Chrysoprase gemstone beads in a variety of shapes and at affordable prices. 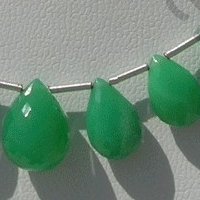 Natural Chrysoprase Gemstone is nickel-rich Serpentine deposit, possess property of translucent and are available in light minty-green to a deep apple green with micro cut, Rondelle Shape. 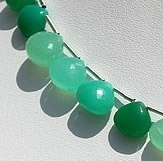 Natural Chrysoprase Gemstone is nickel-rich Serpentine deposit, possess property of translucent and are available in light minty-green to a deep apple green with micro flower cut, Flat Pear Shape.